Due to the increasing demand for wireless data communication, the available radio spectrum below 10 GHz (cm-wave communication) has become insufficient. The wireless communication industry has responded to this challenge by considering the radio spectrum above 10 GHz (mm-wave communication). The answer to increasing frequency congestion as Internet usage continues to rise across the world is provided by Light-Fidelity (Li-Fi). It’s a very exciting technology that has been on our radar since Professor Harald Hass gave a TED talk on the topic back in 2011. Light-Fidelity (Li-Fi) is a continuation of the trend to move to higher frequencies in the electromagnetic spectrum. Data is transmitted by modulating the intensity of LED light at nanosecond intervals, too quick to be detected by the human eye. It uses visible light between 400 and 800 THz (780–375 nm) to transmit binary data in the form of light pulses. Actually how it works- Li-Fi uses common household LED (light emitting diodes) lightbulbs to enable data transfer, boasting speeds of up to 224 gigabits per second. Standard LED lightbulbs use a constant current, which emits a constant stream of photons perceived by us as visible light. LEDs are semiconductors so the current and output can be modulated at high speeds, which is picked up via a photodetector device. The optical output is then converted back into an electrical current, which is processed and sent to your device as data. Li-Fi depends on your device being within range of the light being transmitted by your Li-Fi bulb. Why we use LEDs specifically? Its because LED bulbs use 85% less energy than incandescent bulbs and last up to 20 times longer. LED lights are natural beam-formers, which makes it easier to create separate uplink and downlink channels, which essentially means more secure internet browsing. Using LEDs as it has both reduced the light consumption as well as heat dissemination. Besides energy-efficiency of LEDs, there is an added benefit for LiFi cellular deployment in that it can build on existing lighting infrastructures. Due to its shorter range, Li-Fi is more secure than Wi-Fi. Light's inability to penetrate walls makes it potentially secured. Li-Fi lowers the possibility of external sniff and hacking attempts. 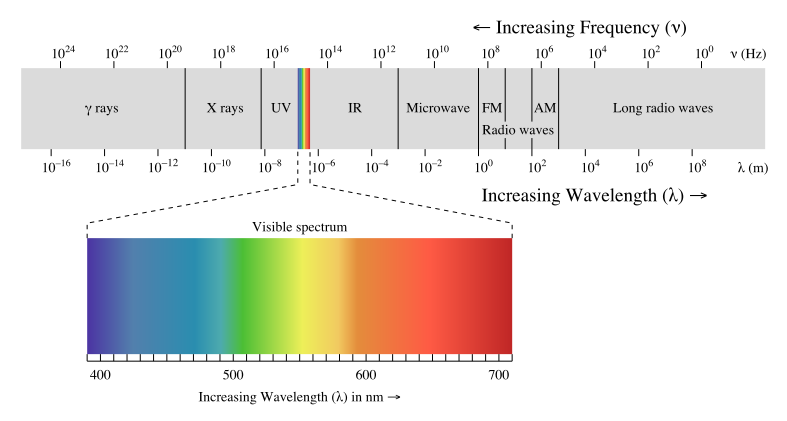 The visible light spectrum has 10,000 times more bandwidth than radio waves spectrum. Plus, it’s unlicensed and free to use. Data can be transmitted over the light spectrum, this makes Li-Fi a form of optical wireless communication. 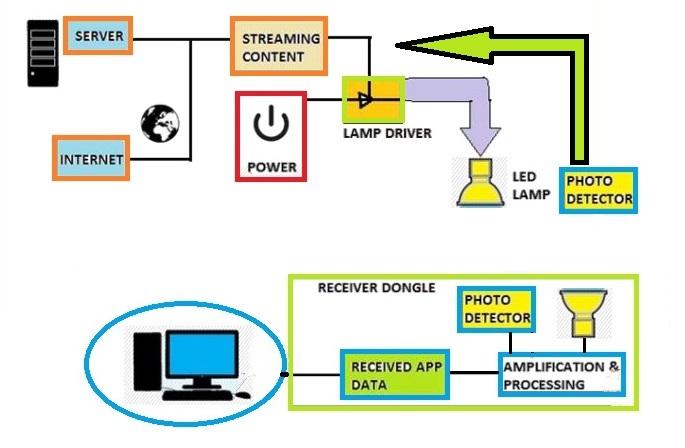 Li-Fi uses infra-red and ultra-violet (visible light) waves to communicate data. 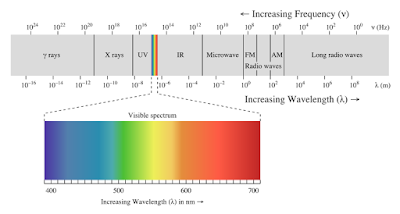 Infra-red and ultra-violet spectrums can carry more information than radio frequency waves. This is why Li-Fi can achieve greater speeds than Wi-Fi. Li-fi can deliver internet access 100 times faster than traditional wi-fi, offering speeds of up to 1Gbps (gigabit per second). I also believe that the high speed and the large data density could totally change the way we watch television and also will have great impact on satellite communications. Benefit of using Li-Fi technology in hospitals, nuclear power plants and aircraft cabins is that it does not cause electromagnetic interference. Li-Fi technology will allow high data connectivity for each air craft passenger at all times. The reduction in cabling requirement also means a lighter aircraft. It is also used in cellular and underwater communications as light can penetrate for large distances unlike radio waves which get absorbed in water, preventing underwater radio communications. Since new generation vehicles are coming with LED headlights and taillights and street lights, signage and traffic lights are switching to energy-efficient LEDs. So, Li-Fi technology can be easily used for vehicle-to-vehicle and vehicle-to-roadside sensor communications for road safety and traffic management system. On a larger scale, lasers can be used to transmit high rates of data between satellites in space or to dishes on the ground. Such systems can allow military or telecoms information to pass between two towers or from space to the earth. A major hurdle is that the connection will be lost if a user leaves the room. 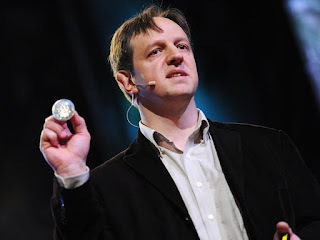 To have a continuous Li-Fi network inside our house, we will need lightbulbs in every room to have seamless connectivity. Another major issue is that Li-Fi does not work outdoors, meaning that public Li-Fi will not be able to replace public Wi-Fi networks any time soon. When it comes to outdoor use-cases, interference from sunlight prevents one from employing Li-Fi solutions. Though Li-Fi is not unidirectional, i.e. 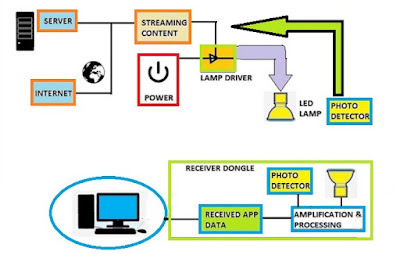 it can both transmit and receive data, LEDs can currently only be used to transmit data due to feasibility and cost issues involved, as specially designed ASIC receiver or SoC receivers are required for uplink transmission. One of the biggest drawbacks of Li-Fi is that it requires light to be switched on all the time to deliver connectivity. Li-Fi technology made its way out of laboratories to live trials in 2015. LiFi is a 5G technology which will unlock the Internet-of-Things and in the future, using light bulb as your wireless hotspot. With faster connectivity and data transmission, Li-Fi promises to be cheaper and more power efficient than existing wireless technologies. It should be remembered that Li-Fi probably won’t replace Wi-Fi altogether, rather, both the technologies will be used simultaneously for a cleaner, greener, brighter tomorrow.